A row of white teeth gives us a beautiful smile, youthful look, raises our self-confidence and allows healthy and quality chewing. The tooth consists of a visible and a hidden part, and is made of hard and soft tissues. The visible part of the tooth is the dental crown with all its functional and aesthetic properties. Dental crown consists of a few layers. The outer visible part is dental enamel, and the inner part is dentin. Dentin can be grey or yellow and it defines the natural color of the tooth. The hidden part consists of tooth root which is tightly connected to the jawbone. 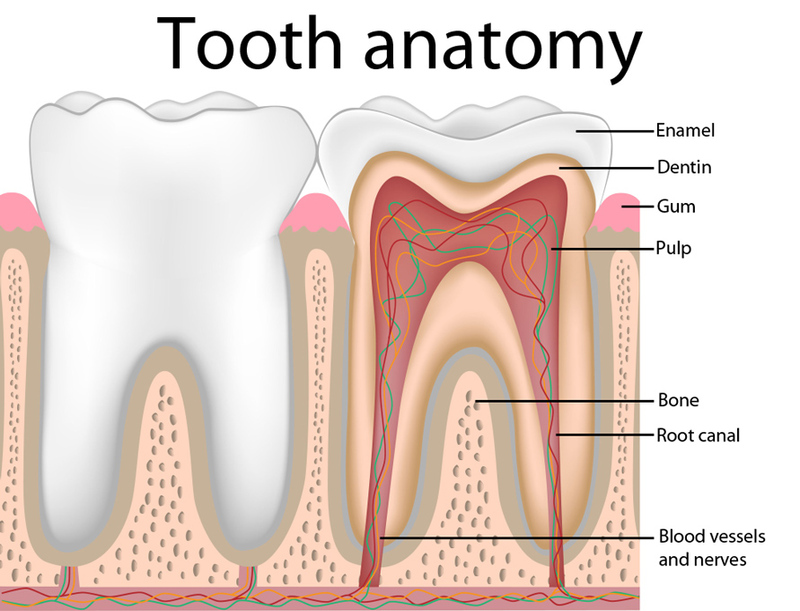 Beside enamel, dentin and root which are the hard tissues, the tooth also consists of soft tissues inside the tooth root. This soft tissue consists of dental pulp or a nerve with tiny blood vessels. The primary role of the tooth root is to support the dental crown and ensure its stability during eating. The tooth root is located in the jawbone and can easily bear the chewing forces in the mouth when eating. Loss of a tooth root also means a consequent loss of the dental crown. A gap is formed in the teeth row and it can cause various problems, both functional and health. If the gap is not restored, the jawbone will deteriorate, the neighboring teeth will collapse, probably get caries and we will lose them. Beside everything mentioned, the loss of teeth will also disturb aesthetic value of patient’s smile and will negatively affect patient's self-confidence. Placement of a dental implant gives us a quality replacement for a lost tooth root to which a new dental crown can be fixed. 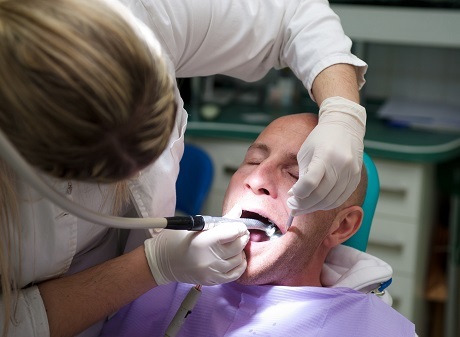 Everyone is a candidate for dental implant placement, whether the person is missing one or more teeth. If only one tooth is missing, placement of a dental implant has numerous advantages over placement of a dental bridge, which is also an alternative to restore a missing tooth. If a few teeth are missing, dental implants are used as a foundation for a dental bridge, which consists of a series of connected dental crowns. In some cases we combine dental implants, patient's natural teeth and a bridge. With edentulous patients 4-6 dental implants are placed in the jawbone and are then used for placement of circular dental bridges. Dr. Daniel Spehar is a leading European expert in implantology and one of the best oral surgeons in Europe. He is a lecturer at international seminars and congresses, and has gained rich experience in implantology practice. Take this opportunity to ask him anything you would like to know about implantology - dr. Spehar will personally answer all of your questions! Patients suffering from diabetes have to have their blood sugar level under control before the implant placement. If a patient suffers from osteoporosis, it also represents no barrier, except if the disease is in its final stage. Patients with hearth diseases, that take medications like blood thinners or blood coagulants or have bypasses or stents, must consult their cardiologist about adequate changes to their therapy before any type of dental procedures. 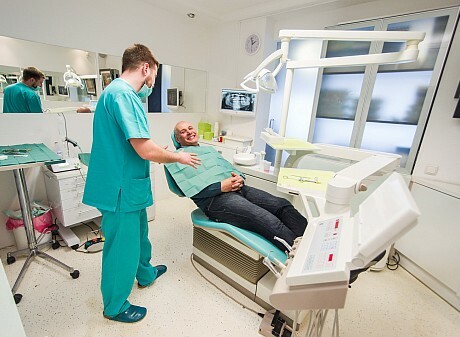 In most cases, if the patient is feeling good, age is no barrier for implant placement. Most patients can get dental implants. An exception are patients in the final stage of osteoporosis, people with serious hearth problems whose disease is not under control as well as under aged people. There are some other specific situations in which the implants cannot be placed, which are left to the implantologist to decide during the first consultation. Before making a decision one should be informed about dental implants, their characteristics, properties and warranty. 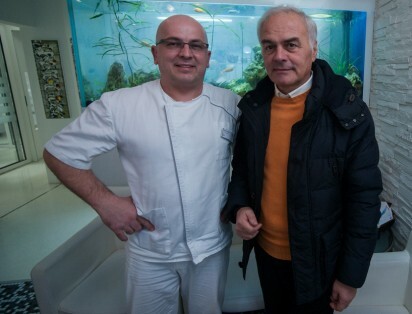 Also, it is necessary to be informed about the clinic and the dentist, who will do the procedure, do some research on the comments and experiences of other patients, who have already used those services, but we definitely recommend a personal visit to the clinic and meeting with the dentist during the first consultation. After all the research you can finally decide who you will give your trust to.